Samsung QN75Q8C vs QN75Q7F : What is the Difference Between Samsung’s 75-Inch Q8C and Q7F? Posted on Sunday, March 5th, 2017. - Filed under 75-Inch. QN75Q8C and QN75Q7F are two options that you can find for Samsung’s 75-Inch QLED TV. They are both introduced in the first quarter of 2017. As two 75-Inch QLED TV, there are a number of similarities between Samsung QN75Q8C and QN75Q7F. What is the difference between those two TVs? I’m sure that you are interested to know the answer for that question if you consider Samsung QN75Q8C and QN75Q7F as your next 75-Inch 4K UHD TV. This article will talk about Samsung QN75Q8C and QN75Q7F as well as their difference. Samsung QN75Q7F come with flat panel design and It’s part of the Q7F model. It’s the largest option for Q7F model. Samsung QN75Q7F comes with QLED technology. QLED technology is including Q Color, Q Black and Q HDR. With Q | 4K Color Drive Elite, Samsung QN75Q7F can deliver precise color details with 100% color volume. You can also find Q 4K drive Elite on top of Precision black pro that deliver deep black levels that bring accurate details on the dark scenes. The HDR technology of QN75Q7F is QK 4K HDR that deliver enhanced details with expanded contrast from HDR contents that delivered as the TV sources. QLED screen also allow you to enjoy the details from any angle you are sitting as It comes with wide viewing angle. You can also find Q Smart as the Smart TV platform of Samsung QN75Q7F. Q Smart is smarter and more user-friendly that the previous 2016 Samsung Smart TV. Real Metal Smart Remote (TM1790A) is also included with Samsung QN75Q7F to control the TV and the connected devices with one remote. Samsung QN75Q7F is also already installed with 802.11ac wireless so you can be sure to get faster internet connection to stream your 4K contents. 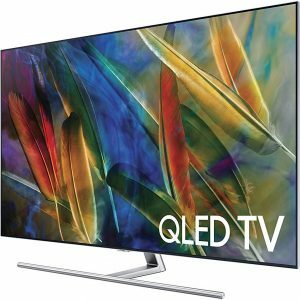 If We want to talk about the differences of Samsung QN75Q8C and QN75Q7F, We need to know the specs and features of those two TVs. The important specs and features of those two TVs can be found on the table below. After looking at the table above, We can find that most of the specs and features of Samsung QN75Q8C and QN75Q7F are similar. What is their difference? Let’s talk about that. The main difference of Samsung QN75Q8C and QN75Q7F comes from their panel design. 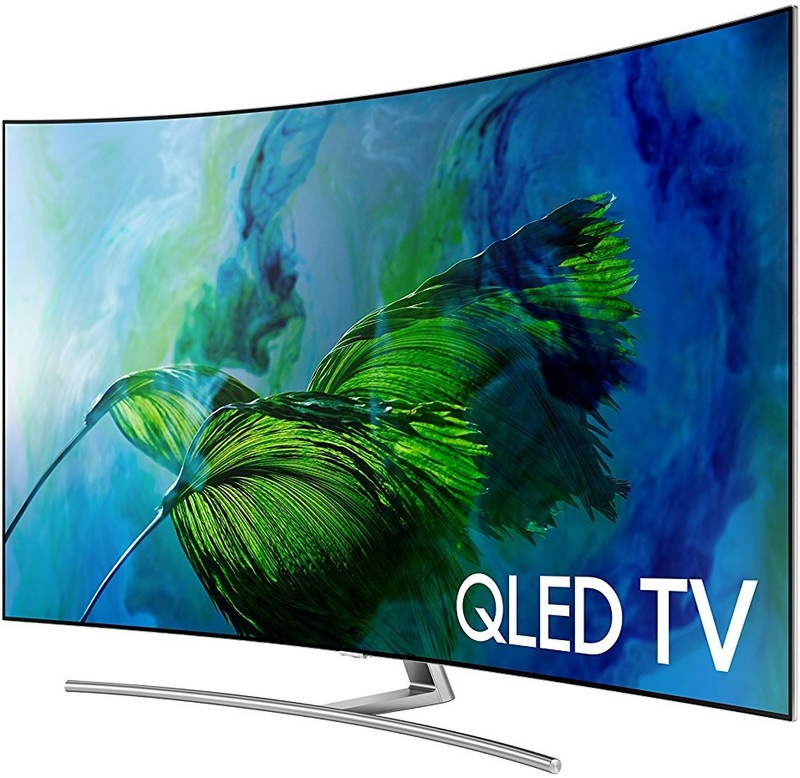 Samsung QN758C comes with curved panel design, while Samsung QN75Q7F comes with flat panel design. Samsung QN75Q8C is indeed able to deliver panoramic watching experience with its curved panel design, but a number of customers are indeed still prefer flat panel design in the other side. They also come with different depth enhancing technology that related to their panel design. Samsung QN75Q8C comes with auto depth enhancer as its depth enhancing technology for its curved panel design, while Samsung QN75Q7F comes with contrast enhancer as its depth enhancing technology for its flat panel design. Both of Samsung QN75Q8C and QN75Q7F are indeed completed with similar 4.2Ch speaker type. But their output power is different. Samsung QN75Q8C comes with 60W output power, while Samsung QN75Q7F comes with 40W output power. With 60W output power, Samsung QN75Q8C is able to deliver more powerful sound than 40W output power. It’s fair that Samsung QN75Q8C that comes as the higher model is priced higher than Samsung QN75Q7F. But how much is their price difference? We have to note that the price difference and the price itself change over time. So to know their current price difference, We need to check today’s price of Samsung QN75Q8C and QN75Q7F. What is the Reason to Choose Samsung QN75Q8C? Related Post To Samsung QN75Q8C vs QN75Q7F : What is the Difference Between Samsung’s 75-Inch Q8C and Q7F? Samsung QN75Q70R vs QN75Q60R : What Should You Know about Their Similarities & Differences? Talking about large screen TV in 2019, We need to mention Samsung QN75Q70R (QN75Q70RAFXZA) and Samsung QN75Q60R (QN75Q60RAFXZA) as two models that we should consider for 75-Inch 4K UHD TV. 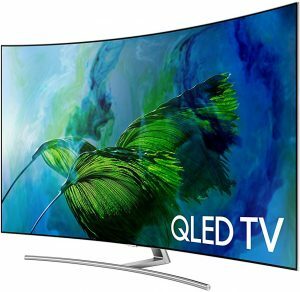 Samsung QN75Q70R is the model that positioned higher..
Samsung QN75Q9FN vs QN75Q8FN (QN75Q9FNAFXZA vs QN75Q8FNBFXZA) : How’s the Comparison between Samsung’s 2018 75-Inch Top QLED TV Models? Are you looking for the best picture on your next large screen 4K UHD TV? If you are looking for the best picture in 75-Inch screen 4K UHD TV, I’m quite sure that Samsung QN75Q9FN (QN75Q9FNAFXZA) and QN75Q8FN..
Sony XBR75X940D vs XBR75X940C : Why Should You Consider Sony XBR75X940D? When you consider Sony XBR75X940D, I’m quite sure that you also think about Sony XBR75X940C as its older model. As the new model, There’re few differences on Sony XBR75X940D although There also similarities between them. I’m quite sure..
Sony XBR75X940E vs XBR75Z9D : How is Sony’s 2017 75-Inch X940E Compared to 2016 75-Inch Z9D? When you are looking for the best 4K picture quality in larger screen size TV, Sony XBR75X940E and XBR75Z9D are two choices offered by Sony that you should consider. Sony XBR75X940E is the top model from Sony’s..